The Ministry of Mines & Energy is the statutory agency of government in charge of administering the mining sector of Liberia. It was established by an act of Legislature as part of the executive branch of government. The fundamental legal instrument used to administer the mineral sector is the New Minerals and Mining Law of Liberia which was approved and became effective in April of 2000. While the Ministry is the lead agency in managing the sector, it also plays a major role in other related sectors. The Ministry has direct oversight responsibility in the energy sector, and also similar role in developing the water resources of the country. The Ministry functions in the area of policy formulation for the energy, hydrocarbon and water sectors of the country. The Ministry is headed by a Minister who is appointed by the President and assisted by principal deputies. Subordinate to these principal deputies are assistant ministers who assist the Minister through his principal deputies. As with the Minister, all deputy and assistant ministers are appointed by the President of the Republic and have to undergo confirmation by the Senate before assuming official duties. The structure of the Ministry is best encapsulated in its organogram, which reflects the hierarchy of decision-making flow and the chain of command in the Ministry. 1957 Cartography (MPW) and the Bureau of Mines & Geology merged to Bureau of Natural Resources & Surveys; this merger formed the embryo of the Ministry. Hydrological Survey functions were partially performed by the Ministry of Public Works at this time. Cadastral Survey services still performed by the Ministry of Public Works then. 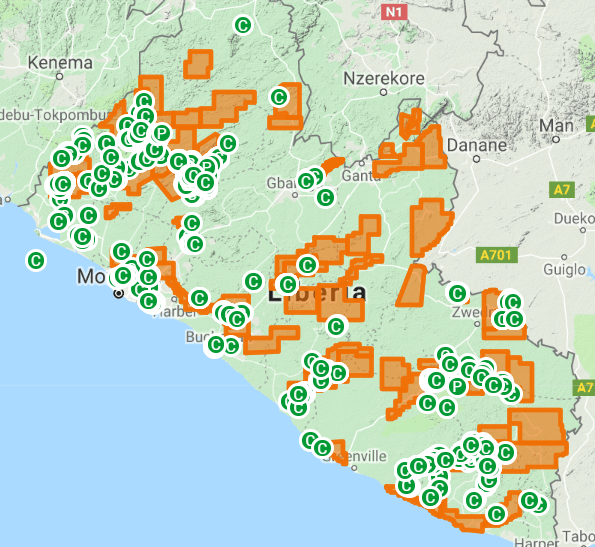 2017 The Land Rights Act creating the Liberia Land Authority (LLA) as an autonomous agency passed into law in September, thereby removing from the Ministry of Lands, Mines & Energy the land component of the ministry. Now the Ministry of Mines & Energy.